Sh*t Russell Brand says... NGTV [uncensored] Interview!! Do You Love Russells Hair??!?! The fans pick: Its Amazing!!! Did You like him in Forgetting Sarah Marshall? do u like russels tattoos on his ribs? Do you find Russell funny? 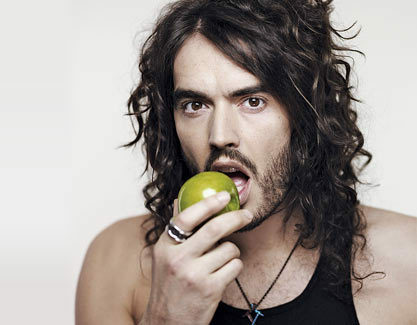 Did you know that Russell Brand was nominated for a Do Something Award? Who is your favorite Russell Brand film character?. Do you think Russell's radio show should get made into a cartoon series like The Ricky Gervais Show?. This documentary tells how Russell Brand was addicted to heroin. He was told he may only have months to live. The story of how he battled to stay clean is at the heart of this eye-opening and searingly honest, personal film. a reply was made to the forum post: where are you all from? How old was Russell when he became a vegetarian?. 20 February Russell in Amsterdam. BBC are over reacting!! JOIN THIS FACEBOOK GROUP!! The new trailer for Get Him to the Greek!! !